Saba Innab gives a free, public lecture as part of the 2018 Fall Intra-Disciplinary Seminar (IDS) lecture series. Saba Innab was born in Kuwait in 1980 and currently an architect, urban researcher, and artist practicing out of Amman and Beirut. She holds a bachelor’s degree in architecture engineering from the Jordan University of Science and Technology. Innab has worked as an architect with UNRWA on the reconstruction of Nahr el Bared Palestinian refugee Camp in the North of Lebanon, a project nominated for the Aga Khan Award for Architecture in 2013. 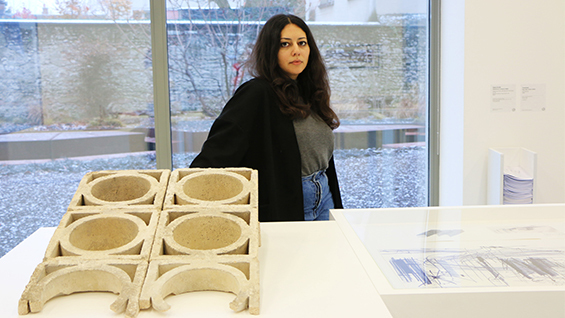 In 2014, she has received the visiting research fellowship initiated by Studio X Amman (GSAPP). 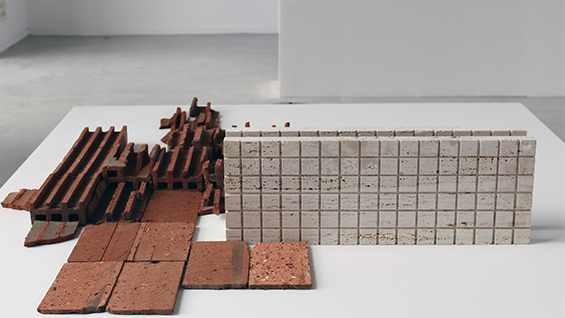 Through painting, mapping, sculpture, model making and design, her work explores the suspended states between temporality and permanence, and is concerned with variable notions of dwelling and building and their political, spatial and poetic implications in language and architecture.